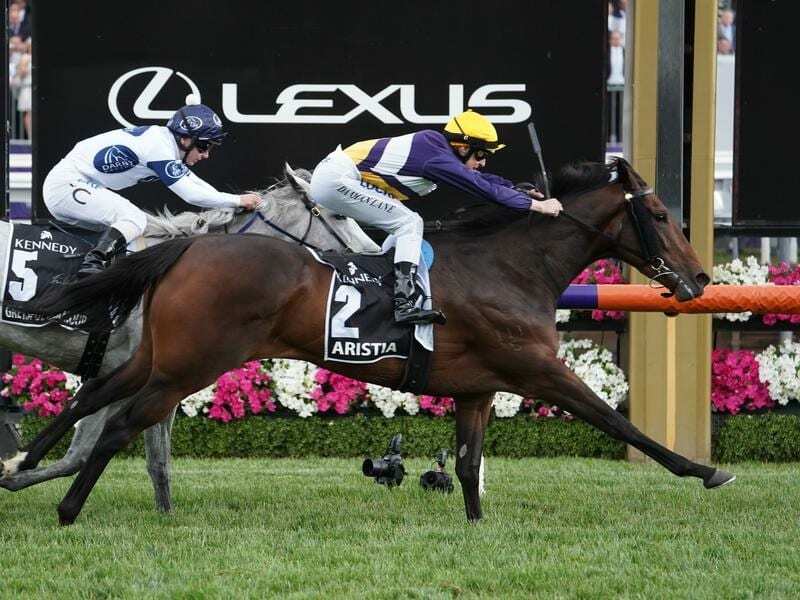 VRC Oaks winner Aristia has returned to the stables of Mathew Ellerton and Simon Zahra to prepare for the autumn carnival. But if the filly shows any sign she has failed to come up she will immediately be put aside for the spring. Aristia is among the entries for the inaugural $5 million All-Star Mile and Zahra said there were a number of options for the filly in autumn. She showed her class in the spring, winning the Wakeful Stakes (2000m) on the opening day of Melbourne Cup week before coming out five days later to win the Oaks over 2500m. Zahra said the filly rejoined the Flemington stable last Monday after a busy 12 months leading up to her Oaks success. Aristia began her career in December 2017 running over 1000m as a two-year-old. She had a three-run autumn campaign starting at Bendigo in April and ending the following month with a placing in stakes company at Morphettville. Her Oaks campaign began in late August. “She only had six or seven weeks off in those 12 months,” Zahra said. “We’re a bit conscious of that so she came back in on Monday and we’ll see how she comes up and if we’re not happy with her we’ll put her away and look towards the spring. “There’s plenty of options for her. “I think she’s got a really good future but we’ve got to be conscious not just of the autumn but of the spring as well.